Contains instructions for repair and maintenance of the OM602 engine 5-cylinders 2.5-liters and OM603 engine 6-cylinders 3.0 and 3.5-liters mounted to W124, W126 and W201 Series models. This manual is also useful for tasks in others models equipped with Mercedes Benz OM602 and OM603 engine. Mercedes Benz Service Manual Diesel Engines 602, 603. Workshop manual of the OM602 engine 5-cylinders 2.5-liters and OM603 6-cylinders 3.0 and 3.5-liters. Designed primarily for use by trained officers personal branding workshops, develops 1018 pages in English that describe the repair work and parts replacement procedures. It contains precise information useful both for amateurs who need maintenance work, seasoned mechanical or DIY experts of classic cars, recounting in detail the processes involved in individual steps with the help of pictures, diagrams and tables. General, technical data. Crankcase and cylinder head. Crankshaft assembly. Engine timing, valvetrain. Diesel injection system. Air intake system. Air filter, Turbocharger. Belt drive. Intake and exhaust manifold, emission control system. Electrical system, preglow. 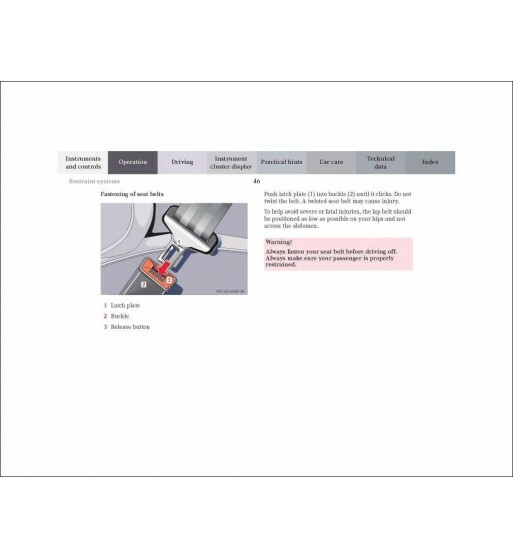 Engine lubrication system. Engine cooling system. Engine suspension. Acelerator control. Fuel tank and lines. Exhaust system. For repair and maintenance of Mercedes Benz OM602 and OM603 engine will not find another best workshop manual.